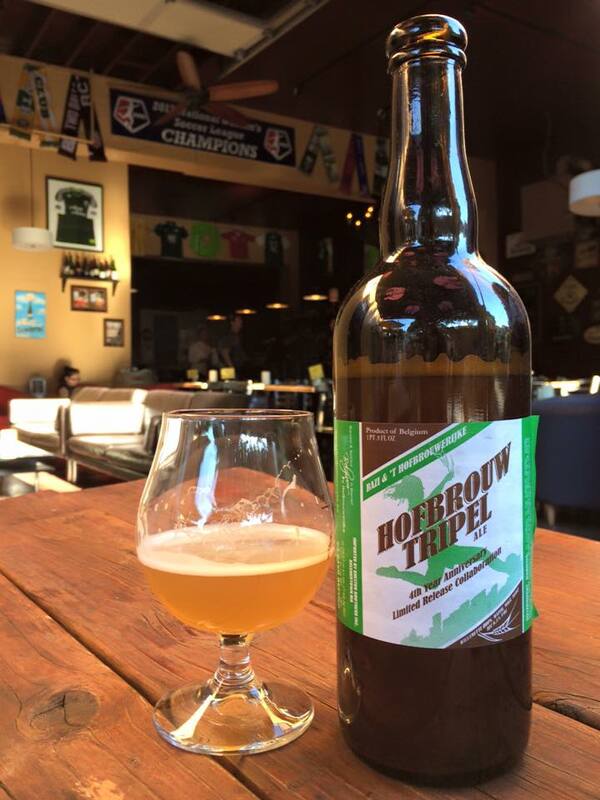 Five years ago Hilda Stevens took a chance and opened up Portland’s first dedicated Belgian Beer bar. 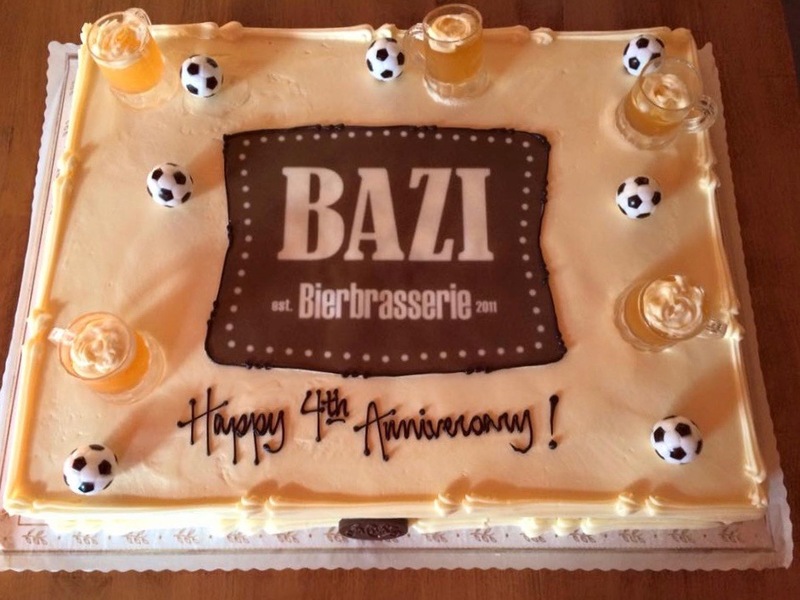 Now a half decade in, Bazi Bierbrasserie is one of the more popular beer destinations along Southeast Hawthorne. On Friday, May 27, Bazi will welcome its friendly patrons to celebrate its 5th Anniversary with Stevens and her staff from 5:00 to 11:00pm. 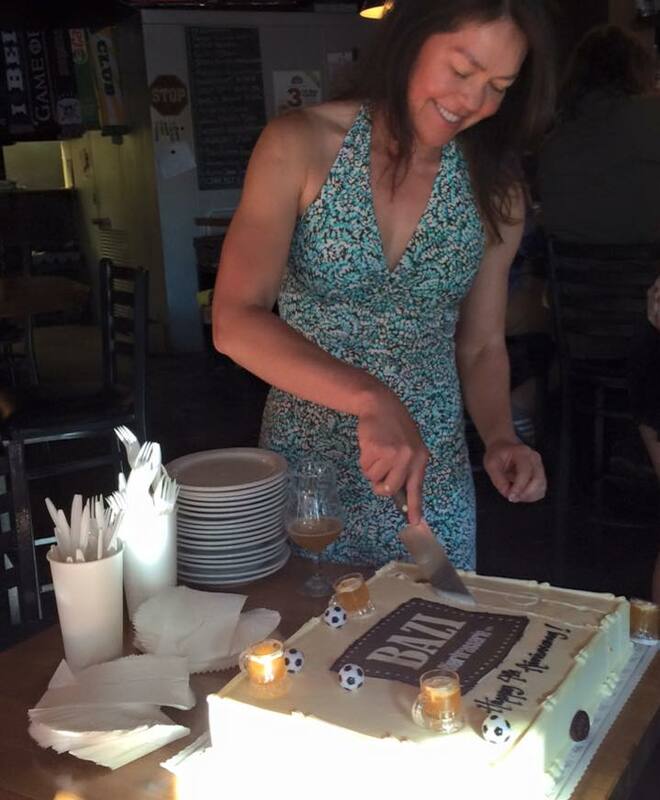 For the 5th Anniversary celebration there will be raffle prizes including a Delirium Tremens soccer ball, a DJ spinning some Euro tunes, and a beer list that includes the official 5 Year Anniversary Quad brewed in collaboration with Upright Brewing. And of course there will be cake! The official cake and toast will take place around 7:30 pm. Here is the special draft list for Friday nights 5th Anniversary celebration. Upright & Bazi Sole Composition Quad – Exclusively brewed in collaboration with Hilda Stevens, Bazi’s owner, at Upright Brewing, and aged in port whiskey barrels. The Commons Zeven Dubbel – Dubbel with star anise, raisins, Hawaiian cacao nibs and orange peel. There will also be some Belgian classics that inspired it all including Tripel Karmeliet, St Bernardus, Delirium Tremens, Bosteels Kwak, Chimay Doree, and La Trappe Bock.